which offers here two special revival bands. 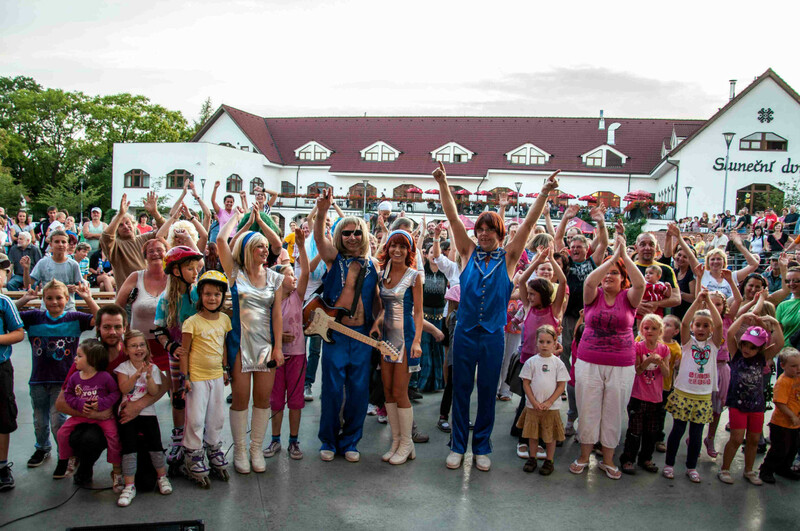 These are Elton John revival band and ABBA tribute show. Both bands exist a few years and perform on the music festivals, business parties, town celebrations and private parties. Musicians perform in costumes, which were made in the style of the original dresses of the 70´s and 80´s including the original wigs and boots. Every show of both ABBA and Elton John revival has its own special magic and the action. The audience become part of it and they find out something new about the history of the ABBA band or Elton John's career, and also about their songs and their contents. We hope that you will be interested in our offer and we are looking forward to seeing you on our next performance. There is a nice Christmas present for all Elton John revival fans. You can see here a part of our live concert from Přerov 11.12.2012.